The singhs of #KhalistanLiberationForce #kidnapped the Romanian Ambassador to Delhi, #LiviuRadu. One of the Singhs had rang Liviu Radu’s wife, Katrina Radu from a phone booth near the Connaught Palace and asked what medication Liviu Radu took and assured Katrina Radu that Liviu Radu will remain healthy. The singhs cared about the health of Liviu Radu. But the brave police of Indian shot and killed that singh who had rang Katrina Radu and the following day the newspapers all talked about this bravery of the Indian security forces with this headline, “One of the kidnappers of Liviu Radu killed by the Police outside Connaught Palace, Delhi”. who 21 years of age. No one knew where the singhs of Khalistan Liberation Force had taken Liviu Radu from Delhi, but on 16th October 1991, when Bhai Sahib attained shaheedi after the Delhi police shot him dead outside Connaught Palace, the world got to know that the Khadku Singhs were also roaming in the capital of India, Delhi. Bhai Devpal Singh Mohali was born on 25th March 1970, in the house of Sardar Balbir Singh. No one knew how this Devpal Singh came in contact with Bhai Gurjant Singh Budhsinghwala. A student at the Punjabi University of Patiala, would be one of the Singhs from the top freedom fighting group, Khalistan Liberation Force. Bhai Sahib was a very keen student at Punjabi University of Patiala. 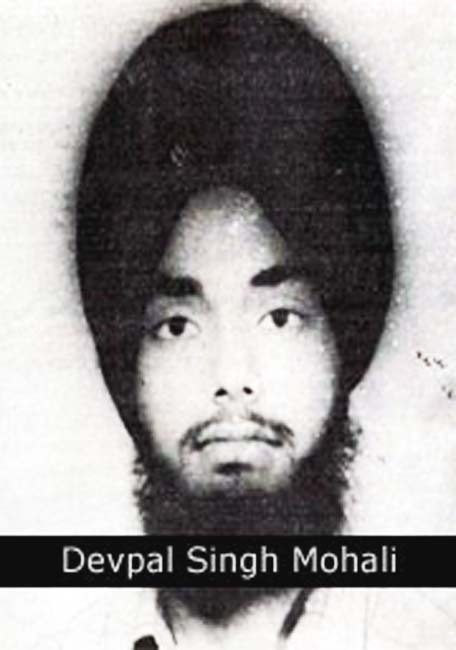 Bhai Sahib Devpal Singh Mohali had taken admission into Punjabi University in 1987 and was doing a B-Tec in Computer Science. Bhai Sahib Devpal Singh Mohali was secretly doing sewa with the singhs of Khalistani Liberation Force. Bhai Sahib moved very secretly that no newspaper ever go to know about his sewa, also Bhai Sahib wasn’t interested in having his name printed on newspapers or media. As well as being a number one student in his studies, Bhai Sahib was known for his knowledge and bravery within Khalistan Liberation Force. The Chief Minister of Punjab, Butcher Beanta daily said that he will erase all Khadku Singhs from Punjab and that the Khadku Singhs are running to other countries. But in October 1991, when Bhai Sahib Devpal Singh Mohali and fellow singh’s kidnapped the Romanian Ambassador to India, Liviu Radu, the eyes international media was seeing the Sikh freedom struggle and countries were made aware of the injustices Sikhs were given daily. No one knew where the singh’s of Khalistan Liberation Force had taken Liviu Radu from Delhi, but on 16th October 1991, when Bhai Sahib Devpal Singh Mohali attained shaheedi after the Delhi police shot him dead outside Connaught Palace, the world got to know that the Khadku Singhs were also roaming in the capital of India, Delhi. 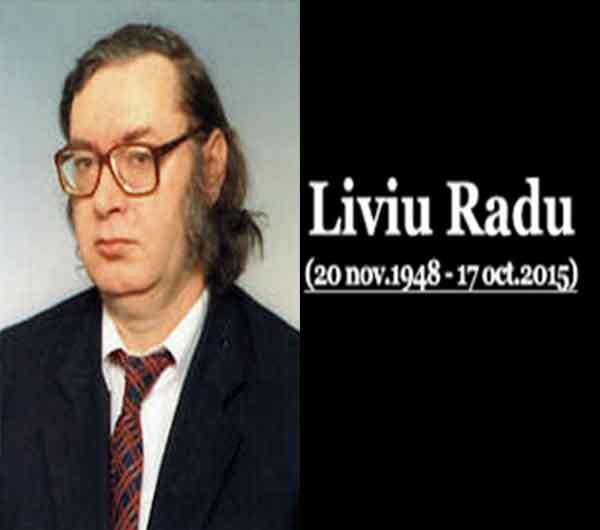 Liviu Radu was Released after 50 days / Praised Among all Countries. The Indian agencies wanted the Khadku Singhs to kill the Romanian Ambassador, so that the Khadku Singhs would look as evil men to the world. Even when the beloved singh of Khalistan Liberation Force, Bhai Devpal Singh was made shaheed, the singhs kept calm and focused on bigger goals. Finally when Liviu Radu was released after 50 days, the Indian government looked like the fools and the Sikh Freedom Movement was praised among all countries. In the Liviu Radu kidnapping the Indian government tried their very best to discredit the Sikh Freedom Movement and its Khadku Singhs, but the singhs Khalistan Liberation Force were many steps ahead of the Indian government and did not let any plans of the Indian government work. Bhai Devpal Singh Mohali quietly did his actions with Khalistan Liberation Force and also quietly attained shaheedi too. The shaheedi of Bhai Sahib came as a big shock to the people who knew Bhai Sahib only as a student of Punjabi University. The name of Bhai Sahib Devpal Singh Mohali is talked about with great respect within the Liviu Radu kidnapping action. Bhai Devpal Singh Mohali is rare diamond of the Sikh Freedom Movement, who in his young age did big sewa and attained shaheedi. In the press note released by Dr Sohan Singh of Panthic Committee at the time when Shaheed Bhai Devpal Singh Mohali was given honours, it stated, “Shaheed Bhai Devpal Singh Mohali was rare diamond like the Kohinoor, which can’t be replaced by any other diamond”.